6th SENSE is an audio-visual interactive collage combined with Augmented Reality mobile application and handmade analogue drawing-collages. The art project 6th SENSE gives a unique possibility of interaction with sounds where every user has the opportunity to experience not only visuals in real time, but also an interaction with sounds in real time. The project 6th SENSE consists of 10 artworks divided into three (3) series: gold (4), silver (3) and black-gold (3) analogue drawing-collages. Every series has different animated visual patterns and different possibilities of audio transformation. 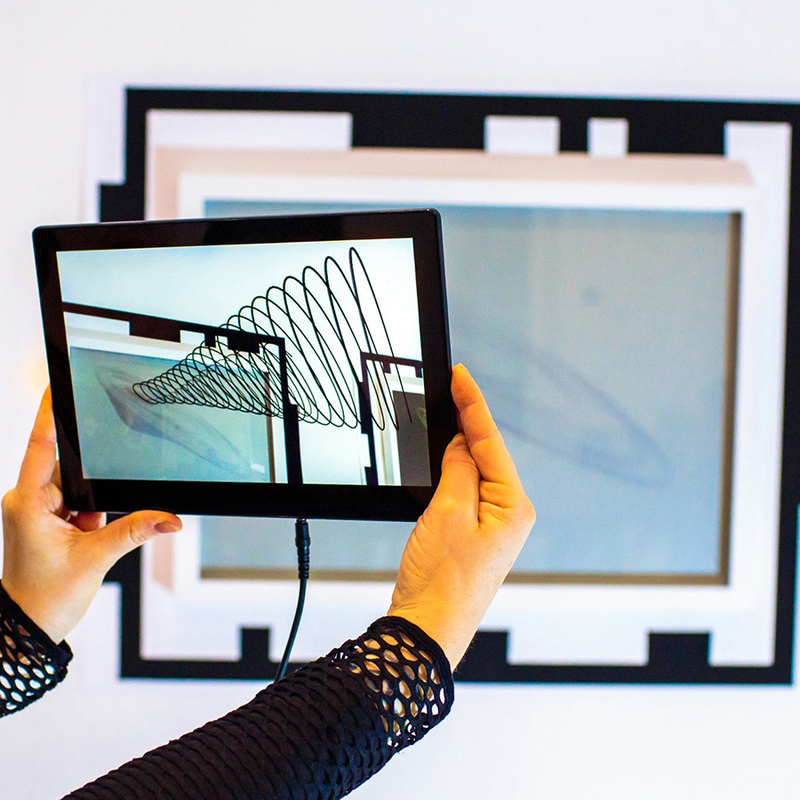 A 3D immersive mobile application is a digital extension for analogue drawing-collages.